VEX Robotics creates tools that educators and mentors will use to shape the learners of today into the problem-solving leaders of tomorrow. VEX IQ is a robotics platform designed to transform the STEM learning paradigm for young students and their teachers for Key Stages 2 & 3. VEX EDR is more than an integrated system of motors, wheels, metal, and sensors that can be used to build or programme robots. It’s an established classroom companion for STEM learning for Key Stages 3, 4 and 5 and it is perfectly placed to help students understand crucial problem-solving concepts. 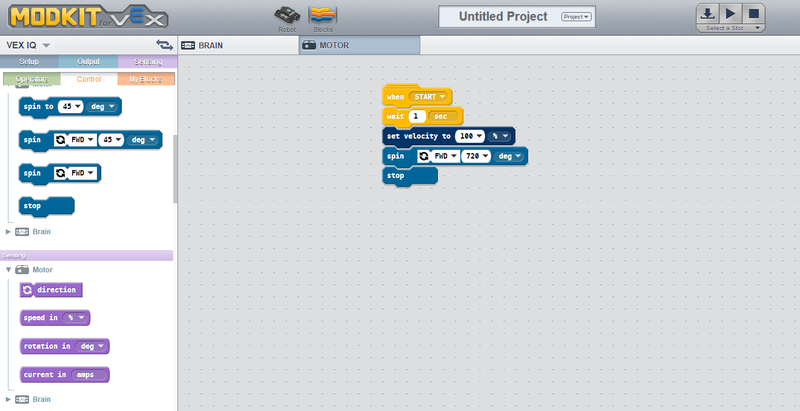 You're never too young (or old) to learn how to code with VEX. 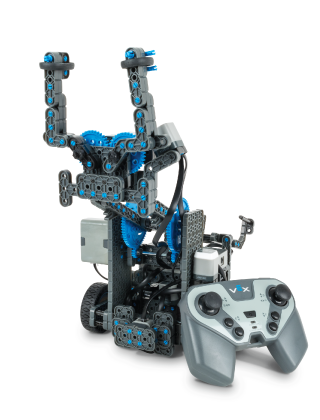 The included programming software options consist of Modkit for VEX, a graphical programming environment developed specifically for VEX IQ using snap-together blocks; and ROBOTC for VEX 4.x works with the entire line of VEX kits, making it a natural pathway to success for students as they grow into more advanced projects. With more and more schools adopting robotics as a platform to enrich and enhance science, technology, engineering, and mathematics (STEM) courses, teachers need a program that allows them to seamlessly integrate curriculum and hardware into the classroom. 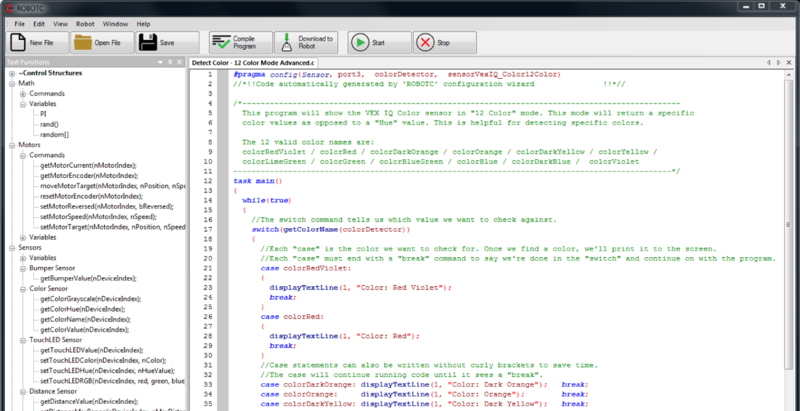 VEX’s teacher resources are mapped to the National Curriculum in England and can be adapted to fit any classroom need. Educators can take advantage of the FREE project-based VEX IQ or VEX EDR Curriculum created to teach the engineering design process in a hands-on manner, helping teachers to challenge, motivate, and inspire their students. VEX Competitions bring STEM skills to life as students apply their classroom knowledge in a team-based setting, learning critical life skills. The skills fostered through involvement in VEX are applicable to those needed in the real world – including CAD software from Autodesk, programming with Python and C++, and working with others to solve complex challenges. VEX programs enable people of all ages and backgrounds to recognise that creative problem solving is fun and see its importance in shaping a better future. Tournaments are held year-round at the regional and national levels and culminate at the VEX Robotics World Championship each April! Note: Annual registration fee for the competition (£125) is not included with this grant. This fee goes to the REC Foundation, the non-profit organisation who supports the competition on a global scale. Apply for your grants www.robotevents.com/grants. If your grant is approved, we will be in touch to schedule training logistics. Please ensure you check you are in an eligible region listed below before applying. Working with STEM Learning and their network of regional hubs, we will link a STEM Ambassador to the team to provide you with support, guidance and advice to the students. Don’t forget to register your team as a STEM Club! The training will cover everything you need to get started. Technical support and assistance will be available from our expert team all season long. If you have any questions about the grant programme, please email bridie_gaynor@vexrobotics.com.